The "COTA E-News" is intended to enhance the communications among overseas transportation professionals and their counterparts in China, and promote the networking and collaboration among COTA members and friends. Your support and feedbacks are warmly welcome and highly appreciated! Dr Ke Han is Assistant Professor in the Department of Civil and Environmental Engineering at Imperial College London. He received Bsc and PhD degrees in mathematics from University of Science and Technology of China (2008) and Penn State University (2013), respectively. His research spans a variety of aspects of transportation science and engineering, including traffic network modeling, traffic control and management, network science, sustainable transportation, multi-modal transportation, air transportation, and big-data analytics. He has published a book “Models for Vehicular Traffic on Networks”, and over 80 papers in leading journals and conferences. He has delivered over 50 invited or keynote speeches at international conferences such as ISTTT and Big Data Expo. He is on the editorial boards of Transportation Research Part B, Transportation Research Part C, and International Journal of Transportation. He is a guest editor of TR Part C, and associate editors of IEEE ITSC and CICTP. 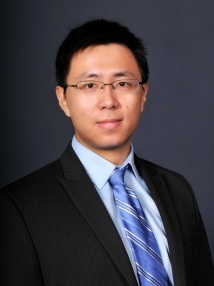 He was named “Chan Wui & Yunyin” Rising Star Fellow by Transportation Research Board in 2016. He is appointed Chief Scientist by Cloud-Guizhou Big Data Science & Application Research Center; he is also a Visiting Professor at Nanjing University of Aeronautics and Astronautics, Special Consultant at Beijing Tsinghua Tongheng Urban Planning & Design Institute, and President of COTA-Europe. He has conducted research funded by the US National Science Foundation, European 7th Framework Program, Newton Fund, and a variety of industrial bodies. Candidates (PhD program) are sought to work in the areas of intelligent transportation, transport big data, and smart cities. Eligibility includes relevant background in mathematics, statistics, computer science, and engineering; working knowledge in statistical/machine/deep learning preferred. Good spoken and written English and communication skills are required. Dr Han is also the Admission Officer for the Transport Msc program jointly offered by Imperial College London and University College London (http://www.imperial.ac.uk/civil-engineering/prospective-students/postgraduate-taught-admissions/transport-cluster/msc-transport-engineering/). COTA Newsletter Volume 20, No.1 (March, 2017) is On-line Now. COTA 2017 membership enrollment is on-line. COTA Newsletter Volume 19, No.2 (October, 2016) is On-line Now. CICTP 2017, -- Shanghai, China, July 7 - 9, 2017. 2017 IEEE Symposium on Computational Intelligence in Scheduling and Network Design (IEEE CISND'17), -- Honolulu, Hawaii, November 27 To December 1, 2017. THE 22ND INTERNATIONAL CONFERENCE OF HONG KONG SOCIETY FOR TRANSPORTATION STUDIES, -- Hong Kong, December, 9 --11, 2017. 2017 China (Beijing) International Car Network + Intelligent Parking Exhibition, Beijing, July 19 - 21, 2017. Connected Cars: Privacy, Security Issues Related to Connected, Automated Vehicles, -- Washington, DC, JUN 28, 2017. AUTOMATED VEHICLES SYMPOSIUM 2017, –- San Francisco, July 11 - 13, 2017. 85th IBTTA Annual Meeting and Exhibition, -- Atlanta, GA, September 10 - 13, 2017. To subscribe or unsubscribe "COTA E-News", please send email to cotawebmaster@cota-home.org.